Every other month we are unpicking increased volatility in one market or other to find signs of the end of the economic cycle. 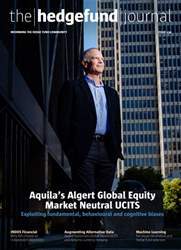 In February it was equities; in April foreign exchange; and last month we wrote at length about the chaos in the quantitative market neutral strategies. And each time, thus far, investors have steadied themselves and markets have calmed, like a house falling apart brick by brick rather than as a sudden collapse. Looking at the environment in which we started July, it would have been easier for concerns around Chinese debt levels or a stronger dollar to have escalated, potentially plunging EM economies again into another wave of difficulty. Or we could have seen a continuation of the pain in quantitative strategies as managers and investors reacted to the losses in June by taking down gross exposure or exiting strategies altogether, exacerbating issues caused by deleveraging. Neither of these appears to have happened, but with each mini-crisis the list of concerns with financial markets grows. So what’s next?